After a painful breakup, I found myself struggling with self-doubt and so I begin to question what I wanted out of life, every aspect of my life - what do I want from a relationship? What role does a relationship play in my life? Does my career mean anything to me? Who are my 'real' friends and family? What am I without my significant others? Where am I in the bigger scheme of things? In other words, I was lost and the prospect of facing the unknown unnerved me. I have always felt that I needed something or someone to make me feel 'complete'. Unbeknown to me, my search for happiness has been misguided and misplaced. I entrust my happiness in people and by trying to fit into cultural conventions (a well respected jobs, friends, partner etc) - and yet none of these really fulfil me. I was investing and holding on to something/someone I have no control over. Thus, when my relationship crumbles away, I was left with a void and a loss of purpose. Coach Adrian patiently coached me through my transitional period. He helped me realise the importance of integrating my burgeoning spirituality with my life purpose. He makes me realise potentials I don't even see in myself. Most importantly, the coaching session reaffirms the need for me to find myself again rather than trying to fill the void with external sources of happiness. Coach Adrian reminds me of how important it is to be grounded in my sense of purpose and that only I have control over my own happiness. I re-evaluated my views on relationships, spirituality, work and friendship and their role in my life. Rather than simply coaching me through one-to-one conversation, he set exercises (some of which are unconventional yet inspiring) to help me work through some of the issues I was struggling with. These include getting in touch with nature, mock dating, personality test, writing journals etc. I found the coaching sessions with Coach Adrian to be life affirming and motivating. 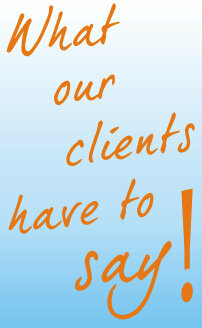 The following testimonies were from clients whose lives had seemed to crash around them. They had never considered Personal Life Coaching and were very apprehensive to give it a go at first.